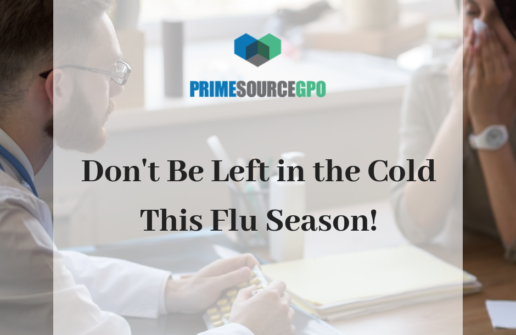 The influenza virus always rears its ugly head during the fall and winter months causing countless hospitalizations and, in extreme cases, devastating fatalities. Facility owners and operators have much to fear when flu season comes around. With hundreds of susceptible residents, and many with weakened immune systems, sharing close quarters, the virus can spread at alarming rates and leave a facility’s reputation in shambles. #1: Educate your staff. Hold a half-day seminar on flu prevention and lay the facts out plainly: the safety and lives of your residents rests in how seriously they take this matter. #2: Disinfect frequently. If your facility doesn’t have mounted liquid disinfectant dispensers on every floor: install them. Using handy disinfecting wipes on frequently touched surfaces like doorknobs, food trays, and handrails can help minimize the spread of infection as well. #3: Wash.Your.Hands. Everyone at the facility, including staff, therapists, management, and of course, residents, should be washing their hands constantly with antibacterial soap. Raise awareness about the importance of coughing and sneezing into tissues, not into your hands. #4: Keep checking in. If any of your residents or staff members are exhibiting flu-like symptoms, including fever, a cough, a sore throat, a runny nose, etc., insist that they visit a doctor and receive a clean bill of health before returning to the facility. #5: Stock up on supplies. Keeping your facility germ-free is hard to do without the proper tools. Our partnered vendor, Ecolab, offers a variety of disinfecting tools, like sanitizing liquid, wipes, and disposables. Remember: an ounce of prevention is worth a pound of cure. Don’t spend this flu season putting out fires – take the necessary steps to prevent the virus from spreading in the first place! Interested in learning more about the Prime Source GPO vendors mentioned in this article? Reach out to a sales rep today and we’ll be glad to answer your questions.